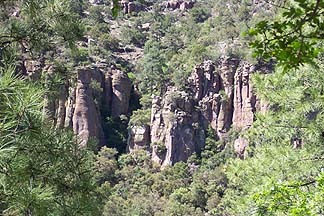 From around 1280 to the 1300s, the Mogollon tribes lived in this isolated location. Towering over the only path into the canyon, the caves are well-protected from the elements, wildlife, and uninvited guests. There are many big caves along the cliff walls, some are bigger than others. 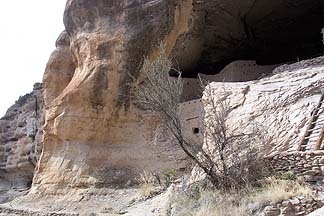 The dwellings offered easy access to water, food sources, and many other advantages. One day, the Mogollons packed up and left. The reason for the abandonment has been the subject of conjecture for many years. The rooms are empty now, only visited by tourists during the day (and perhaps the ancient spirits in the night). Sections of the cave wall are darkened by the smoke. 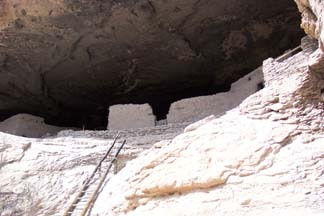 There are large openings where the group used to gather, chiefs were honored, wedding songs were sung, and religious sacrifices were made. There are small rooms where little kids can be tucked in comfortably. Walking along the dark corridors between rooms, one can’t help wonder about the daily life of these people.